Sardar Azmoun, the Iranian Messi, retires from international football at 23…. Iran World Cup striker Sardar Azmoun has retired from international football at the age of 23, claiming his mother has become seriously ill because of the insults he has received. Azmoun – nicknamed the ‘Iranian Messi’ – had scored 23 goals in 33 games for his country before the tournament. He did not find the net in Russia as Carlos Queiroz’s side finished third in Group B behind Spain and Portugal. Azmoun described his decision to stop playing for Iran as “painful”. FIFA World Cup Round of 16 fixtures…. FIFA World Cup Results (28 June 2018)…. Sporting Lisbon sack coach after just nine days…. 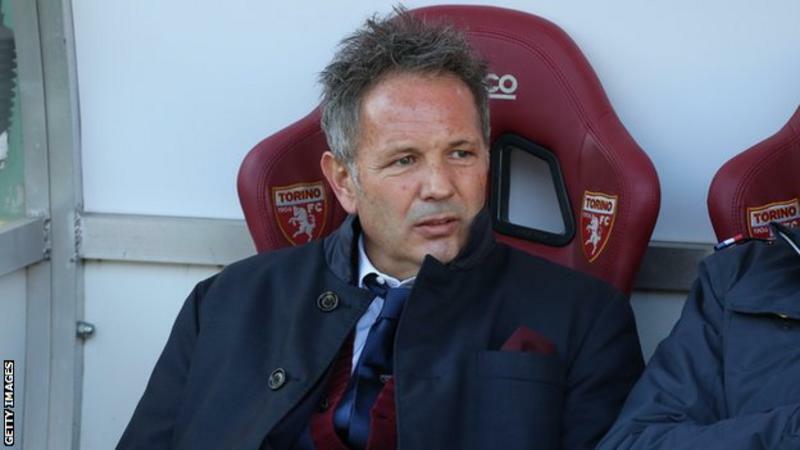 Sporting Lisbon have sacked coach Sinisa Mihajlovic – just nine days after he was appointed by the club. The Serb had said his first objective for the troubled club was to “do better than last year” but on Wednesday night the club said he had been dismissed. A group of 50 fans reportedly attacked players and staff in May, after the club missed out on a Champions League place on the final day of the season. AC Milan banned from European football…. 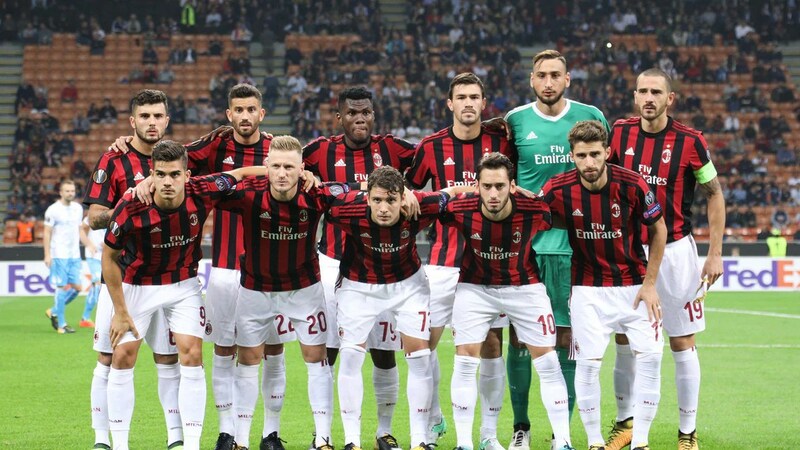 Italian giants AC Milan have been banned from European football for one year for breaching Financial Fair Play regulations. Milan had qualified for the group stages of this season’s Europa League after finishing sixth in Serie A. UEFA said the club, which spent £200m on transfers last summer after a takeover, breached rules around requirements for clubs to break even. FIFA World Cup Results (27 June 2018)…. Achilles the cat tips Nigeria to beat Argentina…. Achilles the cat, who has correctly predicted the score of all three World Cup matches played so far in St Petersburg, tipped Nigeria to beat Argentina. Achilles, who resides in the city’s Hermitage museum, was held aloft for photographers then placed on a table in front of two bowls of food marked with Nigeria and Argentina flags. After moments of deliberation, Achilles chose Nigeria, eating hungrily from the bowl. FIFA World Cup Results (25 June 2018)…. FIFA World Cup Results (24 June 2018)…. Mo Salah becomes honorary citizen of Chechnya…. Chechen leader Ramzan Kadyrov has announced Liverpool’s Egypt forward Mohamed Salah is now an honorary citizen of the Russian republic. Salah is at the World Cup in Russia with Egypt, whose training base is in the Chechen capital Grozny. Salah, 26, has been pictured with Kadyrov, who was accused of using the player for political propaganda. 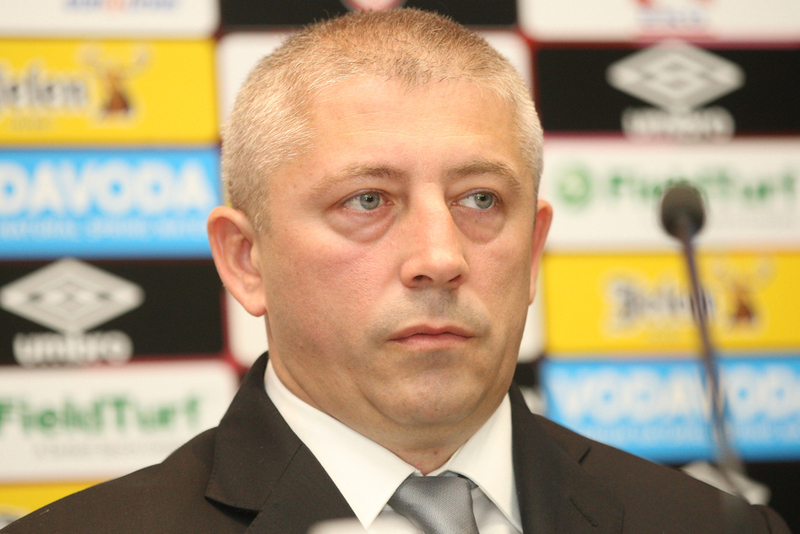 Serbia FA chief accuses FIFA of brutal robbery…. 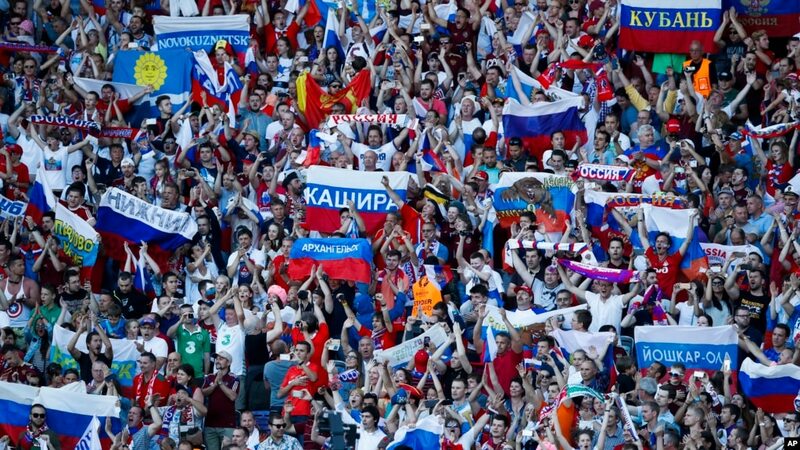 The head of the Serbian Football Association has accused governing body FIFA of showing bias against his country at the World Cup in Russia. Slavisa Kokeza says Serbia were victims of a “brutal robbery” during Friday’s loss to Switzerland, accusing FIFA of “directing” officials to work against them. “We will send a protest to FIFA today,” Kokeza said on Saturday. A FIFA spokesman confirmed a letter of protest had been received but that no further comment would be made. FIFA World Cup Results (23 June 2018)…. 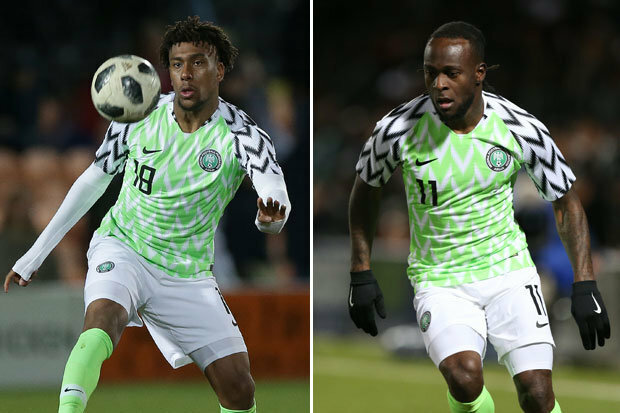 Super Eagles of Nigeria beat Iceland two nil…. 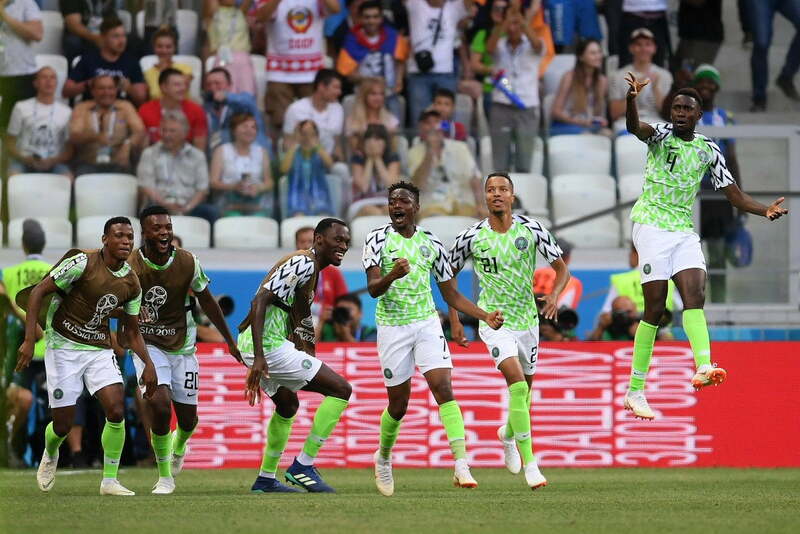 Ahmed Musa scored both goals as Nigeria swept aside World Cup debutants Iceland to leave Group D intriguingly poised with one round of games to go. The Super Eagles would have gone out with defeat but came good in Volgograd. Musa showed superb technique to fire Nigeria ahead on the half-volley before the Leicester player rounded keeper Hannes Thor Halldorsson to make it 2-0. Iceland missed a late penalty – awarded after a video assistant referee review – when Gylfi Sigurdsson fired over. Denmark coach says VAR does remove a bit of the charm of football…. Denmark manager Age Hareide said video assistant referees are taking the “charm” out of the World Cup after Australia scored a debatable penalty to keep their last-16 hopes alive. 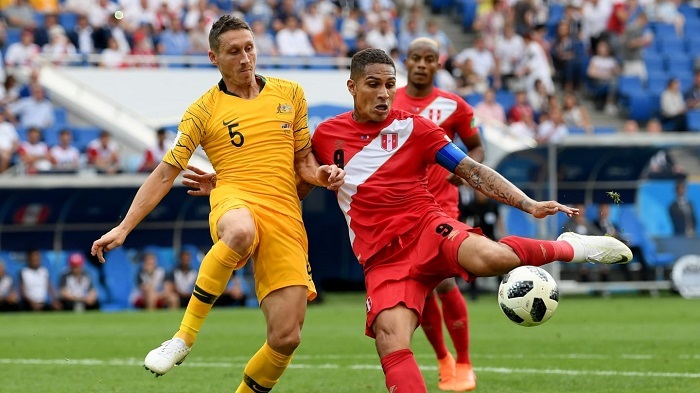 Australia cancelled out Christian Eriksen’s fine opener when Mile Jedinak converted from the spot after Yussuf Poulsen’s handball in the area was penalised by VAR. The ball struck Poulsen on his trailing arm as he contested a header with Mathew Leckie. “I do believe it was a penalty but the whole issue with VAR is that there are people somewhere in Russia deciding to look at this situation because it looks like a penalty,” said Hareide. 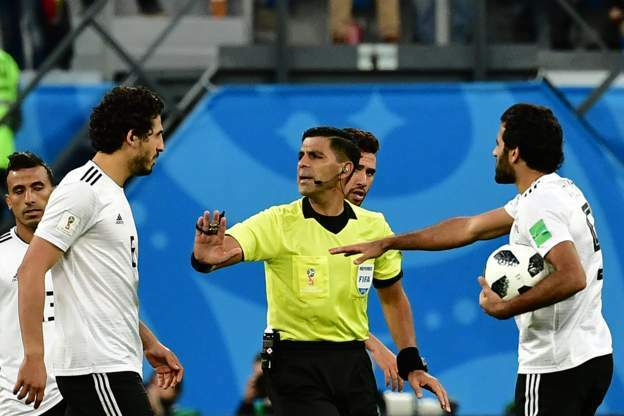 Egypt set to lodge referee protest after Russia defeat…. 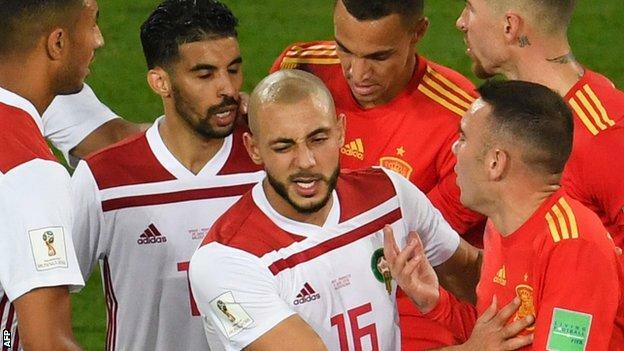 Egypt are set to lodge a formal protest with FIFA about the performance of the referee during their 3-1 defeat by Russia in St Petersburg on Tuesday. Paraguayan Enrique Caceres is the man in question. “We want an investigation into the performance of the whole refereeing team,” Egyptian Football Association president Hany Abo Rida said. 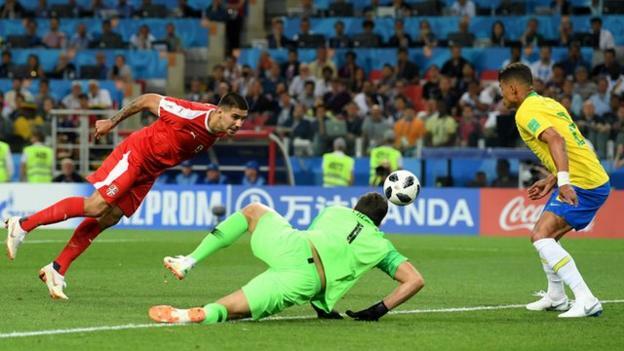 Abo Rida, who is also a FIFA Council member, said Egypt felt full-back Ahmed Fathi was pushed in the process of attempting to clear the ball two minutes into the second half and steered it into his own net to give Russia the lead.